Lenny hails from a fabulous pedigree. 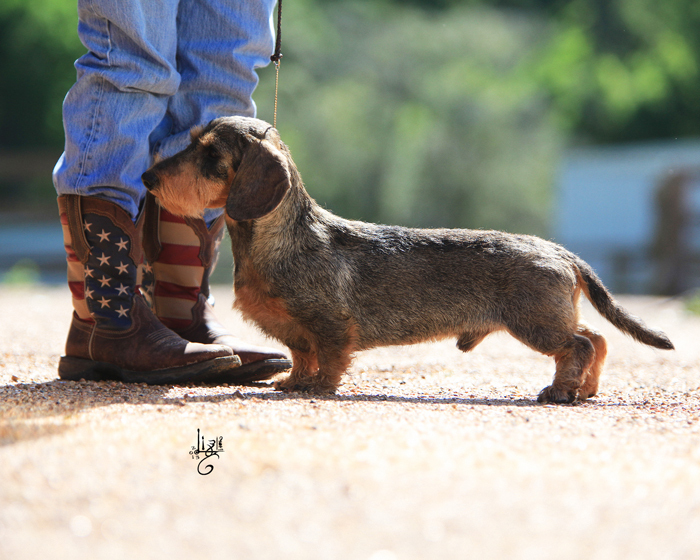 His Grandfather is the famous BIS, BISS CH Gudwil’s Terrific Timothy Dalton MW who is an International Champion, World Jr winner, Grand Russian Champion, and World Union Teckel winner. He is a champion in 6 countries and is a 4-time Eurasia winner and Top Dog of Hungary two years in a row and multiple other honors! Grisha has his working certificate for fox, and blood tracking. Lyonecheka’s(Russian nickname) father BIS BISS Ch Magik Rainbow Brabus MW, has followed in Grisha’s footsteps taking home many honors. Lavrousha as he is known; is an Int. Ch (C.IB. & C.I.E), FCI Centenary Winner, WJW winner, and Junior World Winner. 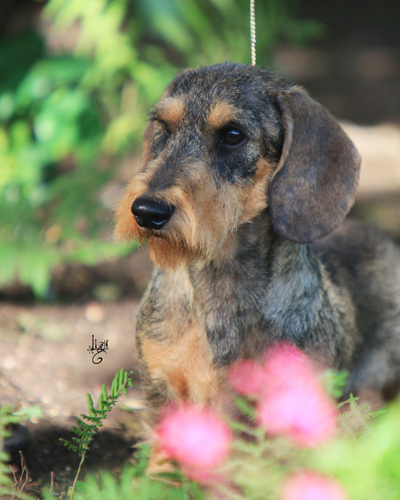 He is a Champion in over 4 countries in addition to being a Grand Rus Champion, RFK Ch. and Nordic J, Finnish, and Helsinki winner. Most notably he is a two time Eurasia Winner and top Dog of Breed. He has won multiple BIS and Group 1 wins along with earning his working certificate in Fox and blood tracking. 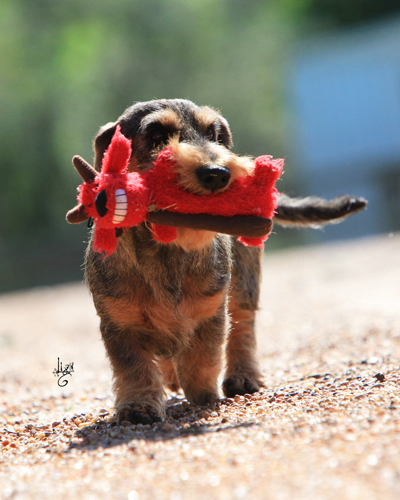 Lenny continues to compete in Earth Dog and in the field.